Electronics Engineering Department endeavors to facilitate state of the art technical education in the field of electronics engineering by infusing scientific temper in students leading towards research and to grow as centre of excellence in the field of microelectronics. To impart necessary technical, professional skills with moral and ethical values to enable students for achieving a successful career. To develop centre of excellence in the field of microelectronics and its allied areas with continuing education program. One Day Seminar on GATE 2019 preparation on 2nd February 2019. Dedicated team of 41 faculty members with average teaching experience of eleven years. 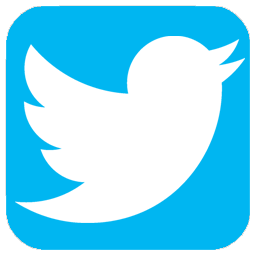 Waghmare Food Products (P) Ltd. , Nagpur. Undergraduate students projects in association with industries which include M/s. Spentex Industries Ltd. Butibori, M/s. 1 thing Design, Gurgaon, Beta Computronics, Nagpur, Indian Railways, RRC ,Nagpur, PeeDee Engineering Associates, Indore ,WCL ,Nagpur etc. Undergraduate students projects internship under RGSTC- TIFAC scheme. Excellent academic results and campus placement. Ahtesham R. Siddiqui and Mr. Akash Tiwari won the first prize of Rs.60,000 in the ATMEL Embedded Design Contest 2016 for project titled "Smart Robot for Restaurants and Hotels“. Radhika Kale and Vishakha Jaiswal received Wipro Earthian Award 2014 worth Rs. 1.5 Lakhs at the hands of Azim Premji at Bangalore. Under-graduate students are recipient of Platinum Certification from BSNL under the Employability Enhancement Training Program (EETP) of AICTE. 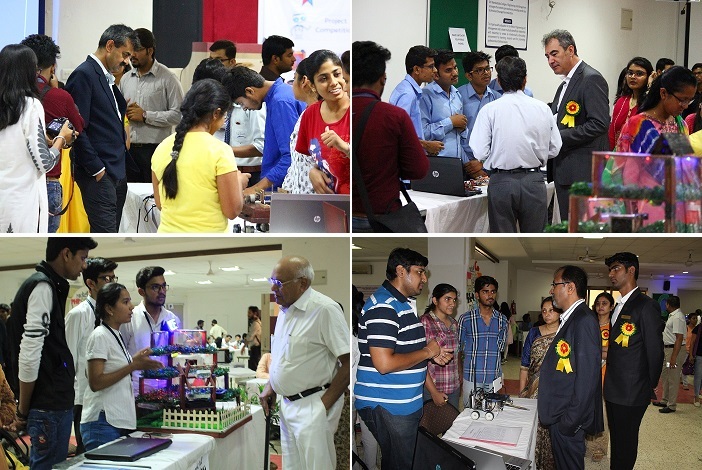 Students participation in Design contests organized by various industrial houses and reputed institutes including Texas Instruments, ATMEL, ROBOCON, GOOGLE, IITs etc. 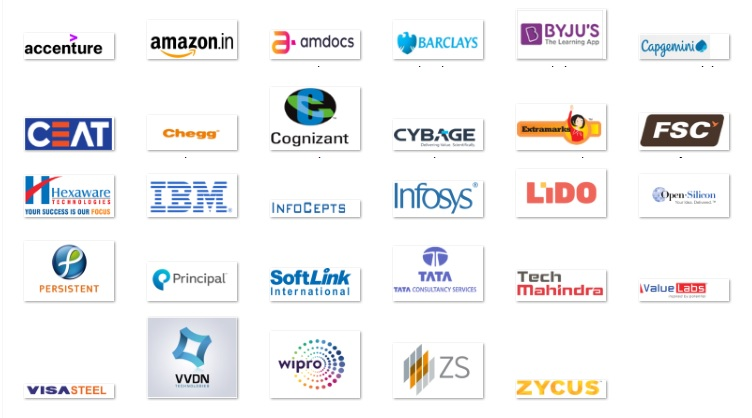 Our Alumna are working in companies across the Globe, such as Intel, Xilinx, Altera, IBM ,Texas Instruments ,Cadence , SoCtronics, Cisco, Cognizant, Microsoft , Tech Mahindra, Wipro VLSI ,TCS ,Infosys, Accenture, Mahindra & Mahindra etc. Recipient of Kunj-Bihari Memorial Trophy (BEST BRANCH CUP) for all round performance in Placements, Sports, Music, Drama, Literary Activities. Rashtrasant Tukadoji Maharaj Nagpur University (RTMNU) has adjudged Prof. Bhalchandra Hardas, Assistant Professor , Electronics Engineering department, as the Best Teacher ( Social Activity) for the session 2016-17. Individual with a creative and inventive mind and good knowledge of physics and mathematics will find Electronics engineering a challenging and lucrative career. Electronics engineering covers a wide range of applications such as television, radio, computers, telecommunication etc. Electronics has a major role in improving productivity in industries like oil, energy, agriculture, steel, petroleum, chemical and so many other important sectors of economy. Electronics engineers may specialize in VLSI Design, embedded system, automotive electronics, renewable energy, communication and data systems, control systems, nanoelectronics, MEMS and medical engineering. Electronics Engineering is a constantly changing and widening branch of the engineering profession. Increased production and demand by government and business for communication equipment, computers, military electronics along with consumer demand, also increased research and development in automation contributes to the growth of employment opportunities in this field. To prepare graduates to solve engineering problems exhibiting a strong foundation in mathematics, science and electronics engineering fundamentals. 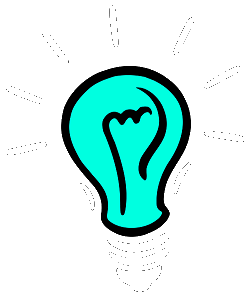 To inculcate an ability to design and develop electronic systems to cater the needs of the society. To instill sense of professional and ethical values, effective communication, teamwork, multidisciplinary approach and lifelong learning to excel in professional career / higher studies. To apply knowledge of Electronics Engineering to design, analyze, evaluate circuits & systems using hardware and software tools, meeting realistic constraints. The Department of Electronics Engineering of RCOEM, Nagpur in association with E & ICT Academy, IIITDM, Jabalpur organized one week Short Term Training Program on “3D Technology and Embedded Electronics” during 13 - 17 November 2018.At the Dr. Prashant Jain, IIIT Dr.(Mrs)A.A.khurshid HOD Electronics and both convenor of STTP Prof. Snehal Laddha, Prof. Gouri Morankar were prominently present for inauguration function. The training programme was held with an objective to help the participants understand the design, functioning and operation of a basic prototyping, create a work of art, customize and develop products. More than 30 faculty members and UG students from various institutions actively participated in the STTP. Resource persons from institutes of national repute and industries having expertise in the field of Rapid prototyping and embedded systems were invited to deliver technical session and hands on training to participants. Dr. Prashant Jain delivered session on Additive manufacturing processes, issues and applications. Dr. Abhay Kuthe from VNIT, Nagpur conducted lecture on 3D printer and rapid prototyping. Dr. Soumya Joshi, BITS, Pilani, Hyderabad delivered session on Flexible Electronics System Design. 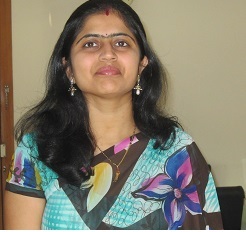 Dr. Rashmi Uddanwadikar from VNIT, Nagpur delivered session on 3D technology for Biomedical Engineering applications. Dr. Sanket Goel from BITS, Pilani, Hyderabad delivered talk on 3D technology and its applications in electronics system design. All the faculties of Electronics Engineering department worked dedicatedly for the success of STTP. 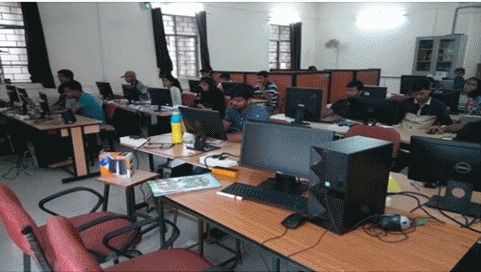 Workshop on “Basic Programming using Python” was organised by Electronics Department, Shri Ramdeobaba College of Engineering and Management, Nagpur from 8-13 August,2018 and 20-23 August,2018.The workshop was offered by the FOSSEE project, IIT Bombay, funded by National Mission on Education through ICT,MHRD, Govt. of India. Students from Fifth semester Electronics Engineering, MCA Department and Faculty members attended the workshop. Prof. Archana Tiwari and Prof. Manisha Das were the faculty coordinators of the workshop. 56 Participants were benefited from the workshop. ELECTROLITZ Student’s Society of Electronics Engineering Department of Shri Ramdeobaba College of Engineering & Management organized National Conference & Project Competition ENNOVATE 2018 on 24th March 2018. 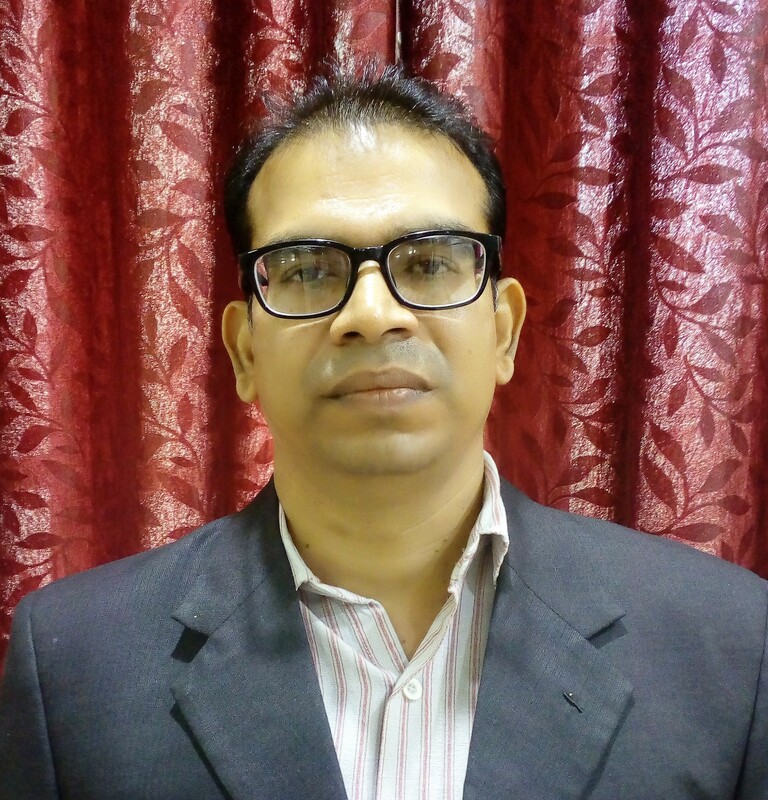 Mr. Ranjit Singh-MD & CEO, Syslogyx Technologies Pvt. Ltd, Nagpur was the Chief Guest for inaugural function. Shri Govindlalji Agarwal, Honourable General Secretary, presided over the function. 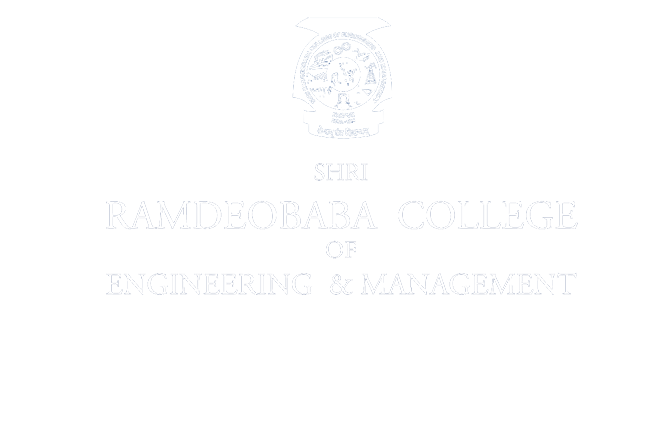 Dr. R. S. Pande-Principal; Dr.(Mrs.) A. A. Khurshid-Head of Electronics Engineering department , Prof. Poorvi K. Joshi and Dr. J. A. Shrawankar–faculty Incharges, Mr Nilabh Vyas-President Electrolitz student society and Miss. Sakshi Deshpande-Technical Coordinator were prominently present. The e-book of abstracts was released on the occasion. Around 550 Students from various colleges in and around Nagpur and Telangana University participated actively in Project Competition and Paper presentation. The projects were evaluated by eminent experts from industry viz. Mr.Virag Deshpande-Senior Manager,Mahindra & Mahindra, Mr.Chandrakant Kale and Mr.Milind Ashtankar-Junior Works Manager, Ordnance factory; Mr.Sandeep Karmore-Director, Sensors &Systems Nagpur. An ISTE approved Short Term Training Programme(STTP) on "Practices in Computer Network Design & Implementation" organized by Department of Electronics Engineering has commenced at Shri Ramdeobaba College of Engineering and Management, Nagpur. In inaugural ceremony 01 programme, Chief Guest Mr. Christopher John, Module Lead, Persistent Systems Ltd, Nagpur, Guest of honor Ms. Aruna Lambat, Solution Manager, IBM India Pvt. 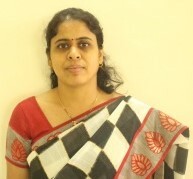 Ltd., Pune, Head of Department of Electronics, Dr. (Mrs.) A. A. Khurshid, Convener 01 Programme, Dr. Parag Jawarkar and Prof. Nikhil Damle, various participants from engineering and polytechnic institutes allover Maharashtra were prominently present. Ms. Aruna Lambat deliberated on the technology used for network infrastructure design and implementation. In her keynote address she briefly discussed breakthrough in the network designs and computations. In his opening remark, Dr. Parag Jawarkar gave details 01 various sessions to be conducted in this week long programme from 27th November to 2nd December 2017. In her address, Dr. (Mrs.) A. 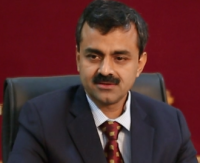 A. Khurshid hoped that deliberation during STTP will give new ideas to the participants in the area of Computer Network Design and lmplementation. Prof. Nikhil Damle proposed vote of thanks. Prof. Nikhil Damle, Mr. Shocb Sheikh, TCS Nagpur, Mr. Sudhanshu Ojha, General Manager, D-Link Academy & his team conducted various theory and practical sessions related to computer network design. ELECTROLITZ Student’s Society of Electronics Engineering Department of Shri Ramdeobaba College of Engineering & Management organized National Conference & Project Competition ENNOVATE 2017 on 24 March2017. Mr. Vinod Kumar Agrawal, CPM (Tele & Operation), Nagpur Metro Rail Corporation was invited as Chief Guest. The theme of the competition was “Challenge your Creativity”. E-book of abstract was released on the occasion. Dr. R. S. Pande, Principal,RCOEM presided over the function. & Dr.(Mrs.) A.A.Khurshid, Head of Electronics Engineering department and staff members of Electronics Department were prominently present. Around 550 Students from various colleges participated actively in Project and Paper Competition. The projects were evaluated by eminent experts from industry and academia. 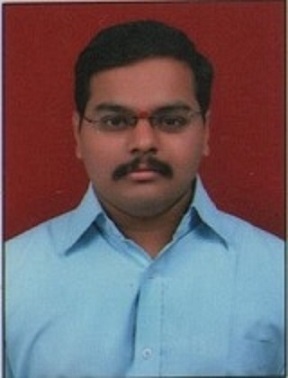 Mr.Biswarajan Beura ,DY. General Manager (S&T),Nagpur Metro Rail Project, Mr.Cristian Bostan,Chief Signaling Expert,General Consultant,Nagpur Metro Rail Project, ,Mr.Arvind Kolte,Director ,Electronics Control System,Mr. Akhil Bahale,Director,Sterling Electricals & Technologies, judged the innovative project models of the participents. The prizes and certificates were distributed to the winners at the hands of General Secretary Shri. 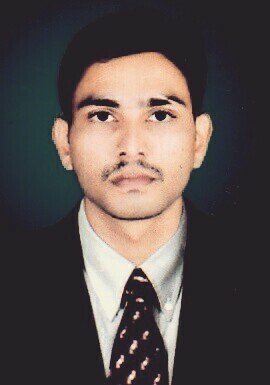 Govindlal Agarwal. Prof. Poorvi K.Joshi & Dr. P.S.Jawarkar, conveners of ENNOVATE 2017 played a stellar role along with the staff members of electronics Department, Ms. Aishwarya Shrivastava, President of Electrolitz society and entire Electrolitz Team. "The Land where humanity has attained its highest towards gentleness, towards generosity, towards purity, towards calmness - it is India. "- Swami Vivekananda. Swami Vivekananda’s thoughts n ideals will always inspire all generation across the globe. The Department of Electronics Engineering of RCOEM organized one week ISTE approved self financed STTP on “FPGA Based Digital System Design” during 21 - 26 November 2016. 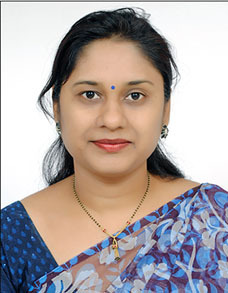 Prof. Smita Daware, coordinator of STTP highlighted on the topic FPGA Based Digital System Design. 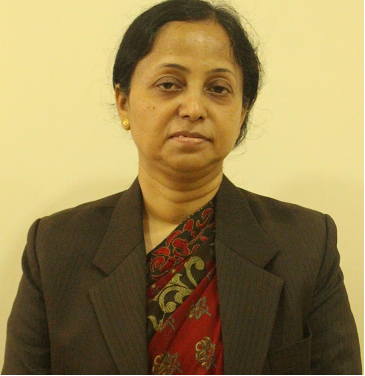 Dr. R. S. Pande, Principal and Dr. (Mrs.) A. A. Khurshid were prominently present for the inaugural function of STTP. The training programme was held with an objective to enable the participants to gain knowledge on implementation of Digital System Design on FPGA. More than 24 faculty members and PG students from various institutions actively participated in the STTP. Resource persons from institutes of national repute and industries having expertise in the field of VLSI design were invited to deliver technical session and hands on training to participants. 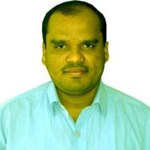 Mr. Mayur Deshmukh from CoreEL Technologies pvt. ltd, Pune delivered session on speech & video processing. Dr. R. M. Patrikar from VNIT, Nagpur conducted lecture on High Performance Embedded computing using FPGA. Mr. Aditya Bankar Qualcomm, Bangalore delivered online lecture on Introduction and design aspects of Cache memory. Faculty members Dr. N. P. Narkhede, Prof. P. U. Joshi, Prof. A. Goel, Prof. S.S. Balpande from Electronics Engineering department and Electronics & Communication department conducted various sessions during STTP. All the faculties of Electronics Engineering department worked dedicatedly for the success of STTP. 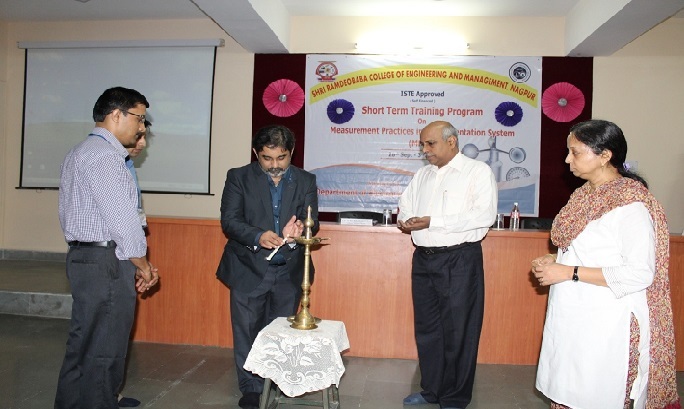 ISTE approved Short term training program on “Measurement Practices in Instrumentation System” organized by department of Electronics Engineering. The program was inaugurated at the hands of Mr. Tushar Joshi, Senior architect, Persistent Systems Ltd., Nagpur. In his key note address Mr. Tushar Joshi presented details related to advancement in instrumentation. He also put forth the idea of internet of things to be implemented in the field of instrumentation which can create safe and convenient life. Mr. Pradeep Gujrathi, Deputy director , Institute for Design of Electrical Measuring Instruments, Mumbai ; Ashish Uttarwar, CEO, Arav Technologies ;Akhil Bahale, Sterling Electricals, Sanjay Pitale, CEO , Automat process control ;Nikhil Mithaliya, application engineer ,Techktronix, Pune and faculty members of RCOEM conducted various theory and practical sessions related to measuring practices in instrumentation system. 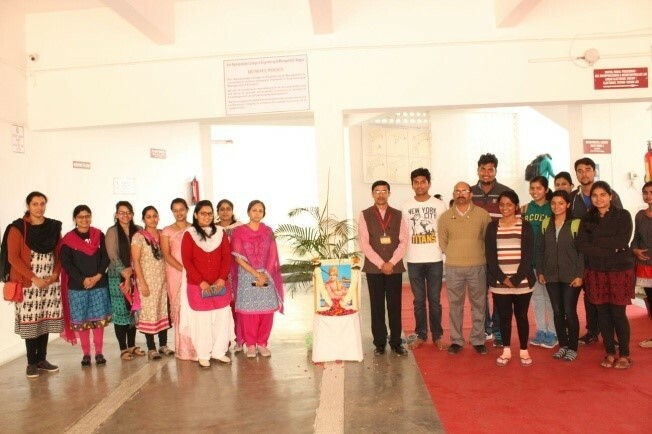 National Youth day, birth anniversary of Youth Icon Swami Vivekananda was celebrated in electronics engineering department on 12th January 2016. Dr.( Mrs.) A.A.Khurshid, Head of department garlanded Swamiji's Portrait and paid tributes. 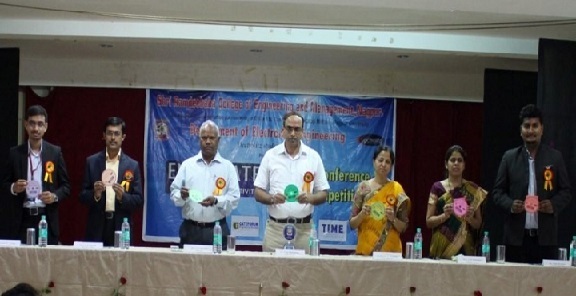 Faculty members and Electrolitz Students' society members were prominently present. Prof. B.M.Hardas and Prof.(Mrs.) Gouri Morankar Student activities in charge coordinated the event. A state level project and paper presentation competition organized by Electronics Engineering Department. Around 110 students from different engineering colleges participated in this event. Workshop on hardware Interfacing with LABVIW by conducted by Mr. Ameya Munde, Sr. Executive –NI/AI Instruments for undergraduate students on 20th October 2015. Expert Lecture by Dr. D. A. Deshpande Immediate past chairman IETE Nagpur center on EMERGING TRENDS IN ELECTRONICS on 21 July 2012 and Inauguration of ISF Executive body comprising of one chairman, two vice- chairman , one Secretary, one joint Secretary, one treasurer, two EC members. Expert Lecture by Dr. D. A. Deshpande chairman IETE Nagpur center on Strained Silicon on 20 Aug. 2011 and Inauguration of ISF Executive body. Workshop on Computer Operated Robot by Prof. M. B. Damle and Anish Goel on 12-13 Feb 2011. Workshop on Security and Hacking Mania on 29 Jan. 2011 by Prof. M. B. Damle as a Convener. Workshop on Embedded System Design using Microcontroller 7 Aug. 2010 by Prof. M. B. Damle and Anish Goel. Seminar on How to chose your Carrier after engineering by Prof. M. B. Damle as a Convener 6 Feb. 2009. Paper presentation contest by Prof. M. B. Damle and Dr. R. S. Pande, Prof. P. A. Dwaramwar, Prof. Hasamnis on 22 Aug. 2009. Quiz on Digital Communication as ISF Activity by Prof. M. B. Damle as a Convener in Mar. 2008. Quiz on Mobile Communication as ISF Activity by Prof. M. B. Damle as a Convener in Mar. 2007. Quiz on solid State Devices as ISF Activity by Prof. M. B. Damle as a Convener in Mar. 2006. Expert lecture By Dr. Anil. Joshi and Dr. S. S. Limaye on necessity on IETE student Forum in Engineering in Aug. 2005. Expert Lecture on Inauguration of the IETE student Forum in Engineering on 12th April 2004 by Prof. M. B. Damle. Every year Electrolitz student society conducts a 7 days technical workshop named ENTRIX in which the students are given hands on experience of technology. 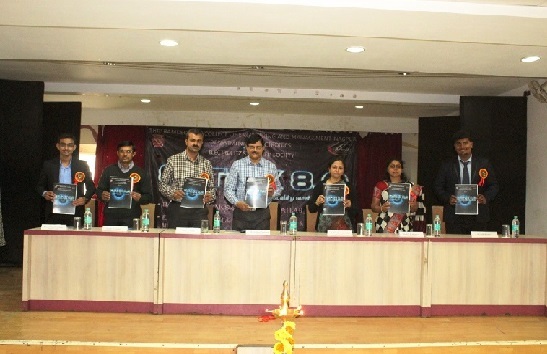 This year the technical workshop, ENTRIX 8.0 was inaugurated on 19th January 2016 at the hands of Mr. Sandeep Darwhekar, Central India Electronics Association, Nagpur. Chief Guest Mr. Darwhekar in his address advised students to learn fundamentals & participate in the technological revolution. He spoke at length about journey of technological innovation and laid emphasis on the product engineering. About 130 Students from RCOEM and various institutes are participating in the workshop. Achievements : Honored with best oral presentation at Research Conclave 2018 organized by Student Academic board, Indian Institute of Technology Guwahati, India. The presentation was on the topic “Investigation of Image processing Techniques for Diagnostic support”. It was delivered in the Competition ‘SCITIFIQUE’ under Biosciences and Bioengineering Department, IIT Guwahati. Qualification : M.Tech. (Electronics Engineering) and Ph.D. 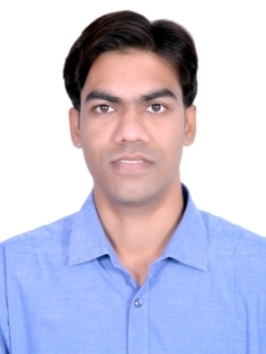 Achievements : SCI,WOS and Scopus publications , Reviewer of SCI and Scopus indexed journals, Editorial board member of Cambridge Scholars publishing,Reviewer and advisory board member of International conferences (India and abroad),Innovative session plan published by WIPRO. Subject Specialization : 1) Analog and Digital VLSI Design & Testing. 2) Embedded System Design. 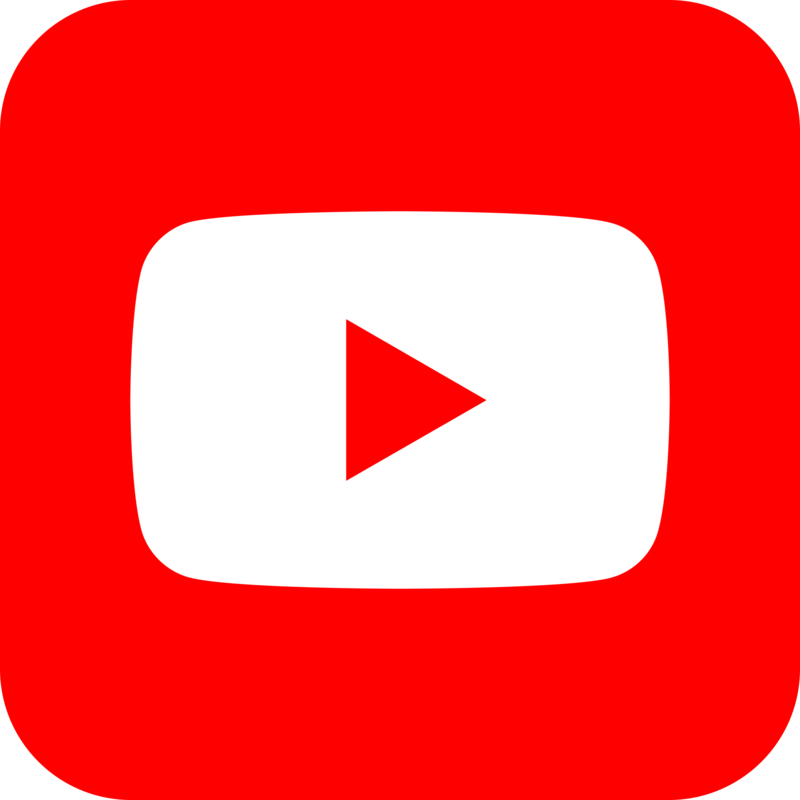 Achievements : 1)Published Lessons on 8051 Microcontroller for e-Yantra Resource Development Center (eYRDC) under a new initiative "Create Content" by IIT Bombay. 2) Guided project under RGSTC-TIFAC-MSME Internship Program(2017-18).3) First Class with Distinction all throughout Academics. Awards : Recipient of Best Teacher ( Social Activities) award from Rashtrasant Tukadoji Maharaj Nagpur University, Nagpur 2016-17. Awards : Mentored a project which won the First Prize under ATMEL India University Program titled “Smart Robot for Restaurants and Hotels” in AEDC 2015 at Coimbatore. Awards : 1 st position in Poster Competition at 2nd National Workshop on Solar Energy Utilization (SUN) for Sustainable development organized by Environmental Materials Division, CSIR-NEERI, Nagpur. 2nd position in Poster Competition at 3rd National Workshop on Solar Energy Utilization (SUN) for Sustainable development organized by Environmental Materials Division, CSIR-NEERI, Nagpur. Subject Specialization : Signal and Image Processing, Computer Vision. Qualification : NA and Ph.D. 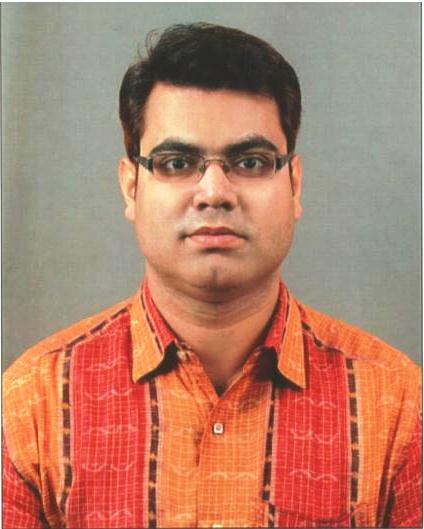 Faculty members are also involved in Indian Nanoelectronics Users Program (INUP). INUP is a unique activity jointly run by the Centers of Excellence in Nanoelectronics at the Indian Institute of Technology, Bombay (IITB) Sponsored by MCIT, Govt. of India. It is an initiative to create and spread the expertise of Nanoelectronics in the country. Dr. R. S. Pande as the Principal Investigator and Dr. (Mrs.) J. P. Kalambe as the Co-Investigator of a research project under INUP program titled “Reliability Characterization of MEMS Cantilever Switch” and Dr. R. M. Patrikar (VNIT, Nagpur) as the Principal Investigator and Dr. (Mrs.) J. P. Kalambe as the Co-Investigator of a research project under INUP program titled “Fabrication of Microcantilever Based Sensor” are two completed INUP research projects. Dr. R. S. Pande as the Principal Investigator and Prof. D. G. Khushalani as the Co-Investigator of a research project under INUP Program at IIT, Bombay Sponsored by MCIT, Govt. of India, titled “Fabrication & Characterization of MEMS cantilever switch for power applications”. S.N Title Of Patent Name of Faculty Application No. Departmental library contains reference books, magazines, project reports, CDs, DVDs, and NPTEL Videos etc. for the usage of the students. Students are encouraged to use these self-learning tools. This also helps the student to learn beyond the syllabus. Placement records for the past 3 to 5 years with notable achievements are to be given as per the following table. 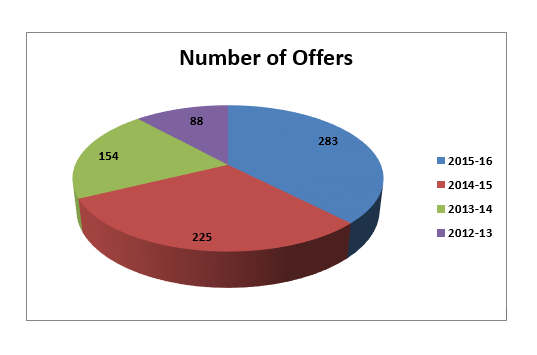 Every year students are placed in renowned companies through campus placement conducted round the year, presently 165 students from current batch are already placed and having 270 offers in reputed companies such as Accenture , Infosys, Capgemni, L&T Technology services, Wipro, Inautix, Infocepts, µsigma, Nice Software, Tech Mahindra, Softronics, Persistant etc. 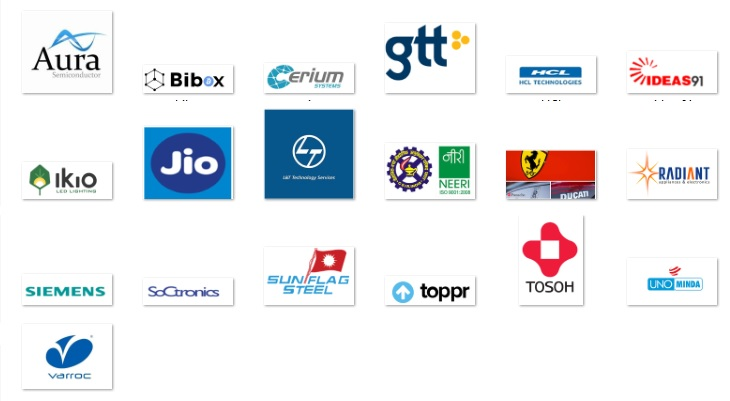 For 2017-18 ODD session, 77 students are placed in different multinational companies like Accenture, Soctronics, Siemens, Reliance Jio, Think&Learn, HFFC , Mu Sigma, Visa Steel, L&T Technical Solutions, Infocepts Technologies Pvt. Ltd., etc. Sixteen Students got opportunity of 6 months internship in different organisations like NRSC ISRO-Nagpur, NEERI-Nagpur, Reliance Jio-Mumbai, MSME-Nagpur, TCS-nagpur, Siemens-Indore, TISHITU- Jaipur.